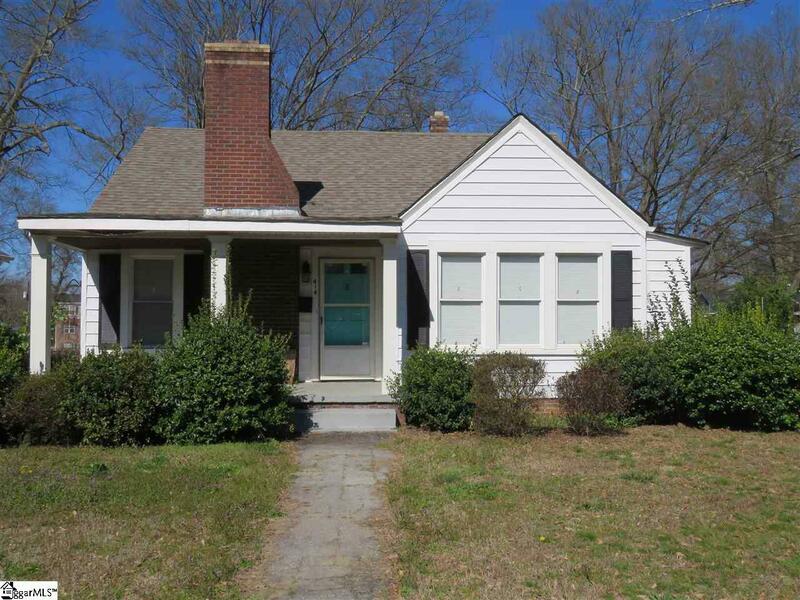 An excellent in town location thats convenient to downtown Greenville & St. Francis Hospital make this bungalow a true delight. Situated on a huge corner lot, 414 Perry Avenue welcomes you "home with a charming covered front and a low maintenance vinyl siding. 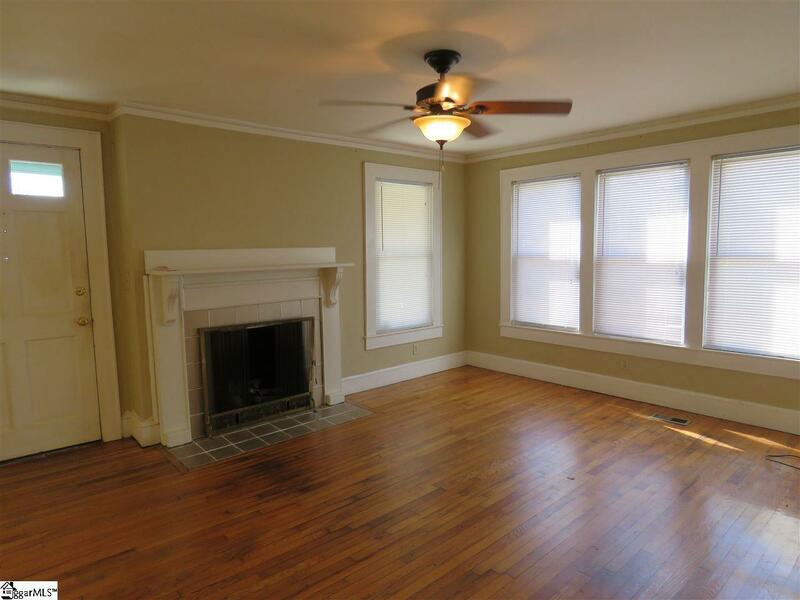 Inside you will discover a traditional floorplan with extensive hardwood floors and crown molding that flows throughout the home. A gas log fireplace anchors the Great Room where you will also find a lighted ceiling fan that adds an extra element of comfort. An oversized archway adds architectural interest while it opens to the homes centrally located Dining Room. The Kitchen is located just beyond the Dining Room. 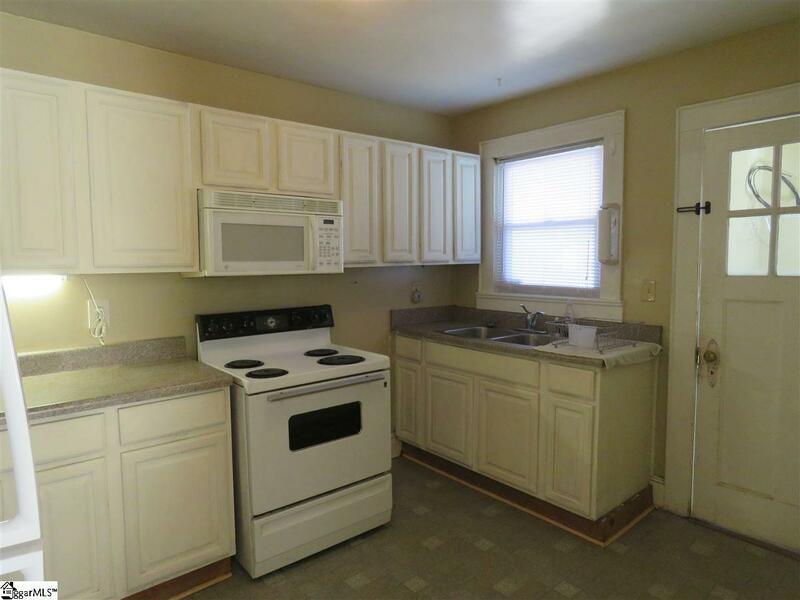 It gives plenty of work & cabinet space along with an electric range, microwave and refrigerator. 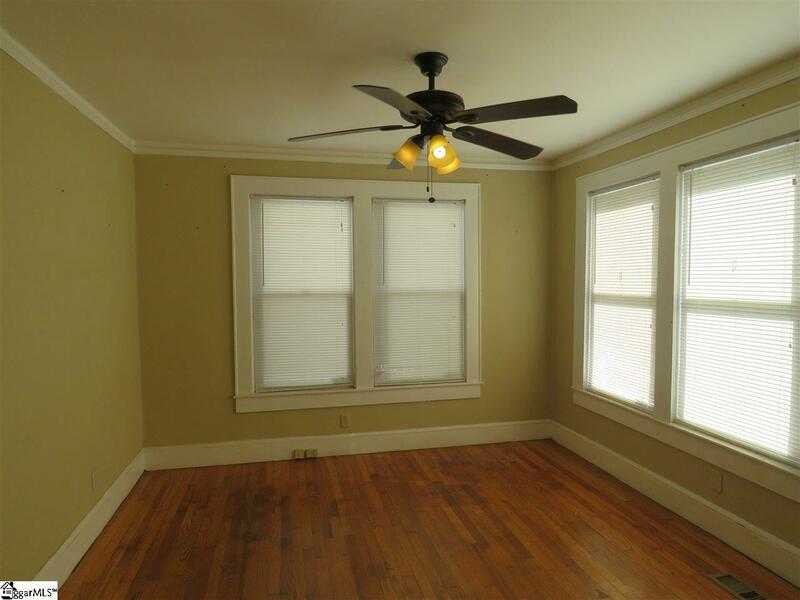 Theres also easy access to the Laundry Room that is already equipped with a washer & dryer. All three of the bedrooms are large in size and offer plenty of closet space. They share an easy to reach hall bath thats equipped with a tub/shower combination, single sink, linen storage and even a mirrored sundries cabinet. Be sure not to miss the huge fenced backyard or the utility building thats perfect for storing your lawn & garden equipment or all of your household "extras. Currently zoned for Alexander Elementary, Lakeview Middle and Berea High schools. Pet friendly with additional $250 fee.